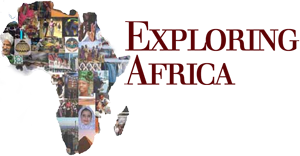 Overview: The purpose of Module Fourteen: Religion in Africa is to introduce students to the rich diversity of religious traditions in Africa and to the importance of religious belief and practice in most African cultures and societies. Students will be introduced to three broad religious traditions that have historically been and continue to be very important in Africa: Indigenous African religions, Islam, and Christianity. These traditions will not be presented as homogeneous, for within each of these traditions there is much heterogeneity in belief and practice. Special emphasis is placed on the dynamic and adaptive nature of religions in Africa. All religious traditions in Africa are continually subject to change, and they have demonstrated an ability to adapt to changes in the social environment and to adopt ideas and practices from other religious traditions. Given the commitment of the United States to the separation of church and state, students are not used to studying religious traditions and the role organized religions play in societies. However, given the central role that religion plays in the lives of most Africans and in African societies and cultures, an exploration of Africa would be incomplete without careful study of religion in Africa. The impact of African religious and cultural beliefs and practices on Islam and Christianity-imported religions -and vise-versa. Similarities among religious traditions in Africa. Throughout this module, numerous photographs will be used. While photographs can be used as excellent learning tools, it is important to remember that photographs do not represent the “way things are,” or the “way things were.” A photograph of students learning at a Quranic school in Somali is not representative of all Quranic schools in Somalia, much less of schools in other Africa countries. A photograph like this is just one among many representations of religious education in Africa, just as a photograph of you playing basketball in your driveway is just one representation of how basketball is played in the United States. Photos are used in this module to help illustrate religious practice and architecture in various African contexts, and they do not represent a uniform way in which religion is practiced throughout the continent. In this module, students will be introduced to a number of unfamiliar terms and concepts. A glossary of possibly new terms used in this module has been developed. When an unfamiliar word of concept is used for the first time, it will be italicized and bolded. By clicking on the word, students will be linked to the glossary. Why is religion so important in African societies? What are the common characteristics of indigenous African religions? What are the roles of ancestors and healing in indigenous African religions? How was Islam introduced into various parts of Africa? What impact have indigenous African traditions had on Islam as practiced in Africa? Why has the rich tradition of Christianity in Africa often remained unknown to Christians in Europe and the Americas? Why have so many African Christians joined African Independent Churches in the last 100 years? A clearer understanding of the rich diversity of religious traditions and practices in Africa. A basic understanding and appreciation for indigenous African religious beliefs and practices. A clearer understanding of the role that Islam has and continues to play in a diversity of African countries and societies. A basic understanding of the history and development of Christianity in Africa. An appreciation for the ability of African societies to adapt and contribute to the practice of Christianity and Islam in Africa.